Click here to read the study mentioned in the video. And unlike with store-bought cleaners, you're promoting wellness within your home (instead of damaging your lungs). They're also fun to make! All you'll need is a spray bottle, vinegar, Castile soap, and some essential oils. The oils smell refreshing and clean, and are also antibacterial (read about why quality matters here). Everything else you probably have on hand: water, sponges, baking soda. Combine in a large bucket. 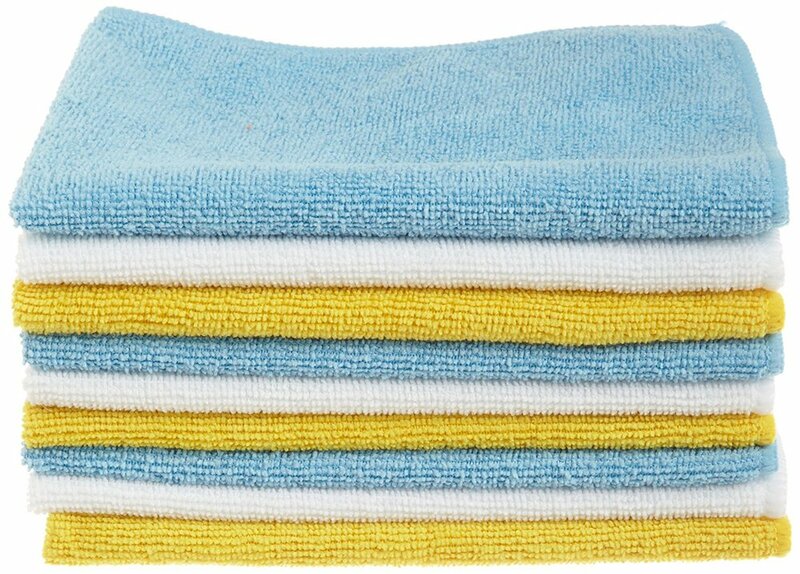 Mop with a dry mop or microfiber cloth. Combine ingredients in a spray bottle and shake thoroughly. Spray onto windows and mirrors and wipe dry. This will last in a cool place for up to two months. Shake before spraying! Add all ingredients to a spray bottle. Spray onto affected area and do not rinse. Combine all ingredients. Sprinkle on carpet, let sit for 15 minutes, and then vacuum. Mix all ingredients in a spray bottle and shake well. Spray onto leather and wipe away with a cotton cloth. Combine in a bowl to form a paste. Apply paste to the inside of your oven with a sponge. Let sit for 30 minutes and then wipe clean with a sponge and water. Why care about essential oil quality? The kits listed below include naturally antibacterial oils like Lemon, Wild Orange, Peppermint, Melaleuca (Tea Tree), and more...plus a special blend called On Guard® made with Cinnamon, Clove, Wild Orange, and Rosemary. The larger kit contains 3x the oil (but not 3x the price)! The smaller kit contains bottles with 85 drops, and the larger kit contains bottles with 250 drops.